Home CREATIVE BREAK What do we like and dislike about B2B events? What do we like and dislike about B2B events? The key to a successful B2B event is as simple as getting face-to-face with your prospects. Well, we say simple, but the truth is that holding an event that is highly effective and hits all the right buttons can be anything but. 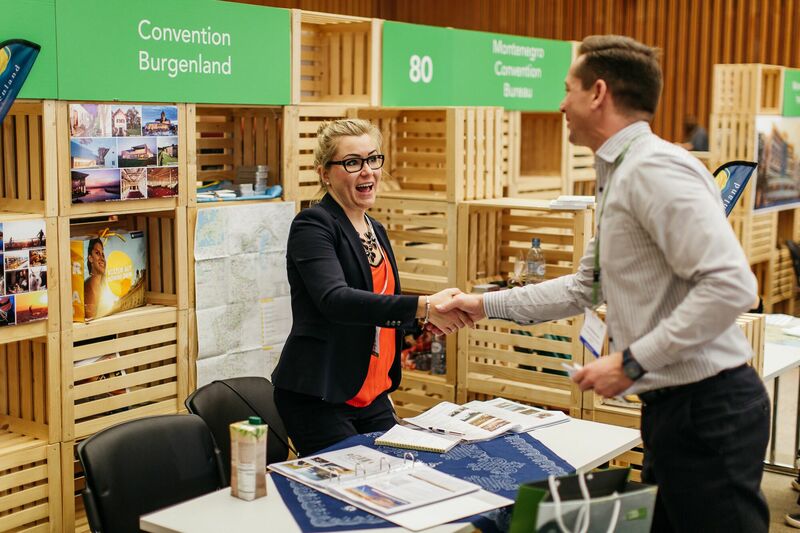 We asked the participants of this year’s 10th Conventa about the likes and dislikes about B2B events. There are many formats for organising B2B events, but the best two are still ‘In-person’ events and ‘Online’ events such as webinars and live-streaming. It is a fact that, bottom line, people do business with people. Therefore, the power of any event lies in the opportunities it generates for personal interaction. This factor was taken into consideration during the organisation of the 10th Conventa trade show, where 130 exhibitors from ‘New Europe’ had the chance to get face-to-face with 290 hosted buyers from 48 countries around the world. Meeting new potential partners, new business connections, getting to know new people, meeting peers, meeting providers and buyers in person, personal communication, new contacts, the chance to meet colleagues in person. In terms of quality workshops, professional details, sharing knowledge, learning about other businesses and destinations. Providing detailed and immediate information. This seems to be a very important part of an event. A relaxed, familiar atmosphere, and a pleasant and positive aura in the meeting hall. The level of which is very important to ensure such events run smoothly. And, of course, there is nothing like a good ‘After Party’ to end an event. Good music, a dancefloor and a few cocktails help you to get to know your colleagues even better. ‘Nothing’, was a surprisingly common answer. Proof of a successful event, indeed!